Trelleborg’s offshore operation recently developed a new rotating buoyancy module system for buckling mitigation for subsea pipelines. 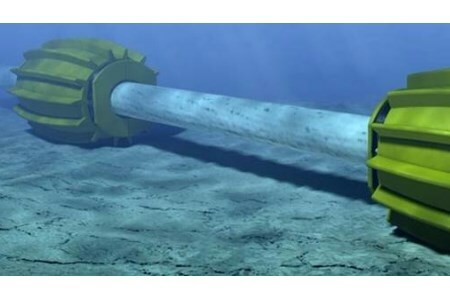 The advanced solution is engineered to roll on the seabed to reduce lateral friction and berm creation thereby creating repeatable and predictable pipeline behaviour. Steven Bray, Oil and Gas Business Manager with Trelleborg’s offshore operation, states: “Doing business in today’s globalised markets requires a long-term approach with solutions that protect people, the environment and our customer’s investment. We are committed to improving the functionality of our products and solutions to provide wide-ranging benefits to our customers. When hot liquid flows through a pipeline, buckling typically occurs as thermal fluctuations cause the pipeline to expand and contract during start-up and shutdown sequences. This can possibly lead to problematic buckling along the length of the pipeline. While traditionally non-rotating cylindrical buoyancy modules are installed along these sections to reduce weight and friction as well as promote controlled bending, in certain conditions the modules displace seabed material. This displacement can lead to ridges or berms of earth, which start to restrict the lateral movement of the buoyancy modules. Rotating buoyancy module can be used on subsea pipelines or flowlines to reduce berm creation and create predictable, safe bucking zones. The modules practically eliminate rouge buckling and can reduce project costs for customers.